Before you purchase your baby hermann’s tortoise for sale make sure you’re buying the right hermann’s tortoise food for sale! Proper Eastern Hermann’s Tortoise food can vary and finding the right hermann’s tortoise diet information is key. So you want to purchase a healthy captive bred baby Hermann’s tortoise for sale, but what does it eat? Well, a lot… but in all seriousness, feeding them properly is key to a healthy pet Hermann’s tortoise. Feeding them is also simple. The best things you can feed are simple. Also, they’re easy to find and honestly better for the tortoise. Lastly, don’t go crazy with all types of veggies and even fruits which you should avoid altogether. Baby lettuces (baby green romaine lettuce and red romaine lettuce, tango lettuce, baby green oak lettuce and red oak lettuce, lolla rosa, baby green leaf lettuce and red leaf lettuce, baby green butter lettuce and red butter lettuce), baby greens (red swiss chard, mizuna, tatsoi, baby spinach, arugula), frisee and radicchio. Both our eastern Hermann’s tortoises and our baby western Hermann’s tortoise are fed the same diet. Only a few species of tortoise are smaller then the hermann’s tortoise, also known as the hermanns tortoise or herman’s tortoise for sale when spelled incorrectly. Hermann’s tortoises for sale are quite common but do to their small size. Interestingly they only have an average of 2-3 eggs per clutch. For this reason, they remain in the 200.00 and up range for captive bred babies. Most importantly, think about this when considering a pet hermann’s tortoise. Always make sure you buy a captive bred baby hermanns tortoise for sale, from an experience hermann’s tortoise breeder, also called a hermanns tortoise breeder. Tortoise farms, or even Hermann’s tortoise farm actually exist like here at Tortoise Town. Because tortoise farms are normally the best places to locate healthy captive bred Hermann’s tortoises for sale. 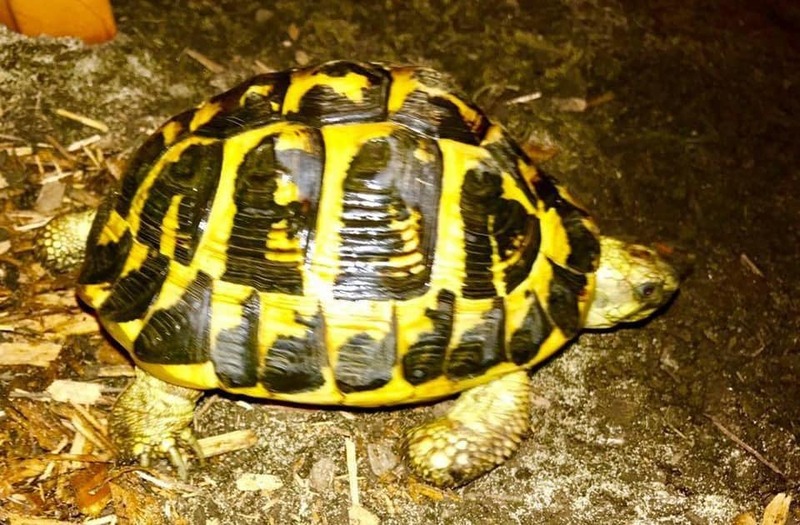 Lastly, we offer some of the best lines of hermanns tortoise for sale, including baby Herman tortoises for sale, juvenile western hermann’s tortoise for sale. Also, see our hermann’s tortoise care sheet for more information on caring for Russian tortoises.